Below, Christopher Smith, aka DJ Spinz, chimes in with his hottest dancefloor hits of late Spring 2011. These tracks are appropriate for any hot Sweet 16 party or club engagement. Certain tracks would also work well for open dancing at formal events. 1) Tonight (Give Me Everything)- Pitbull Feat Ne-Yo, Afrojack and Nayer (note: this track was a predicted breakout hit in Spinzy's Winter 2011 countdown!). 2) Till The end Of Time- Beyonce (note: blends well with Major Lazer's Pon di Floor with the identical 'riddim'). 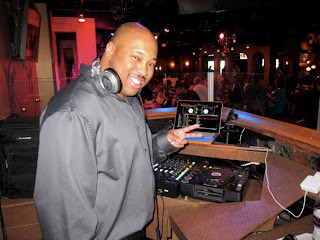 To book DJ Spinz for your next event, contact gregg@ambientdj.com or call us today at 609.672.1270. To read DJ Iron Mike's hot dance playlist, click here. To peruse DJ Gregg's hot dance playlist, click here.